Zamorano University may be regarded as one of the crown jewels of Latin American higher education, particularly in the areas of agriculture, environmental management, and food science, but this idyllic campus excels for more reasons than simply academics. Zamorano happens to be incredibly birdy. 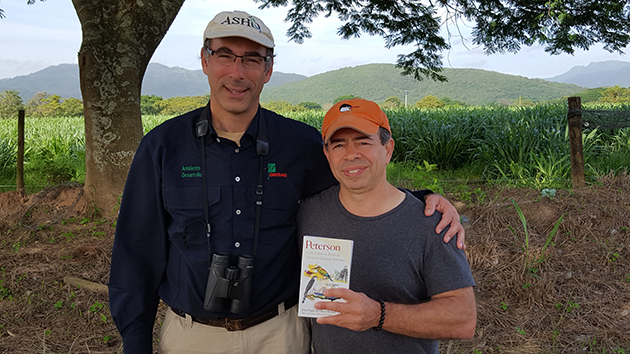 Not only that, but the university retains on faculty a bona fide authority on the region’s avifauna: Professor Oliver Komar is the co-author of the Peterson Field Guide to Birds of Northern Central America and as brilliant a field birder as I’ve ever met in the Neotropics. To this tasty tropical cocktail concocted in July 2018, we added one more volatile ingredient in the form of a contingent of Americans and Hondurans sponsored by the Honduras Institute of Tourism. Add bins and coffee, shake well, and you have the recipe for bird watching nirvana! 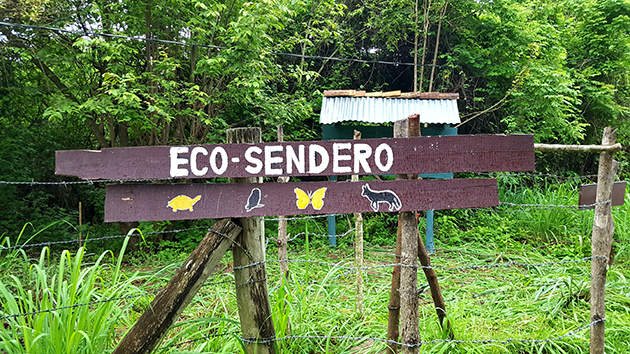 We pulled all manner of common and uncommon species along the eco-sendero, including crowd-pleasers like Nutting’s Flycatcher, Rufous-browed Peppershrike, Turquoise-browed Motmot, and Striped Cuckoo. Had we visited during winter, the rainforest portion would almost certainly have yielded tons of warblers; winter residents include Kentucky, Blue-winged, and Golden-winged Warblers along with both waterthrushes. 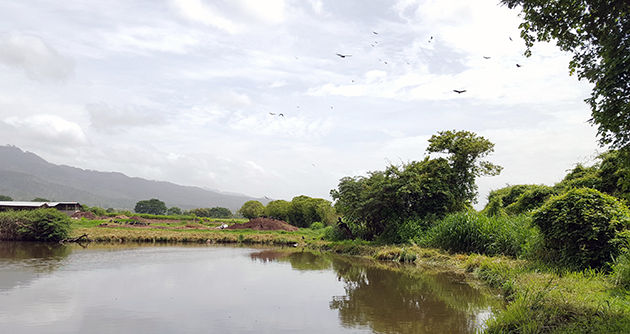 The trail also passes a number of lagoons reputed to be the best chance in Honduras for Anhinga. We missed the snakebird but had no problems seeing Black-bellied Whistling Duck, Least Grebe, Northern Jacana, Green Heron, Neotropic Cormorant, and both Amazon and Green Kingfisher. Spot-breasted, Streak-backed, and Altimira Orioles all nest in these areas with a host of different flycatchers. All in all, a few kilometers of easy birding along the eco-sendero yielded an impressive list of species. One of the many research stations owned by Zamorano lies high in the mountains on the way to Tegucigalpa. 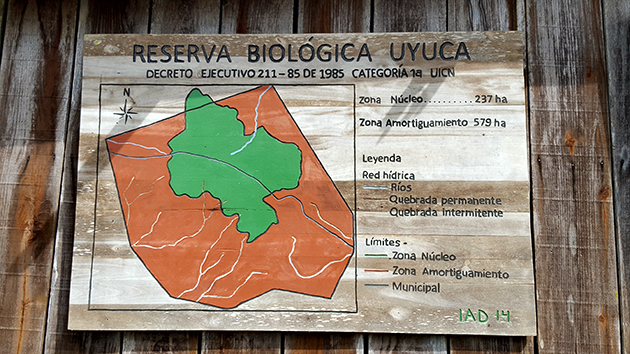 Reserva Biológica Uyuca, which hosts a wide array of scientific research, is frankly phenomenal for Pacific Slope highland specialties. Considering what we saw in three hours on site, I’d love to stay there three weeks! Uyuca stands out as a cinch spot for Green-breasted Mountain Gem, a hummingbird restricted to certain Northern Central American highlands. We had no problem finding these particular mountain-gems, though they were sometimes difficult to spot amidst the clouds of Azure-crowned and White-eared Hummingbirds. While that may be a slight exaggeration, it’s no lie that I may have never before heard so many hummers buzzing around an area without feeders. Besides the common ones, Uyuca also welcomes rarer hummingbirds. 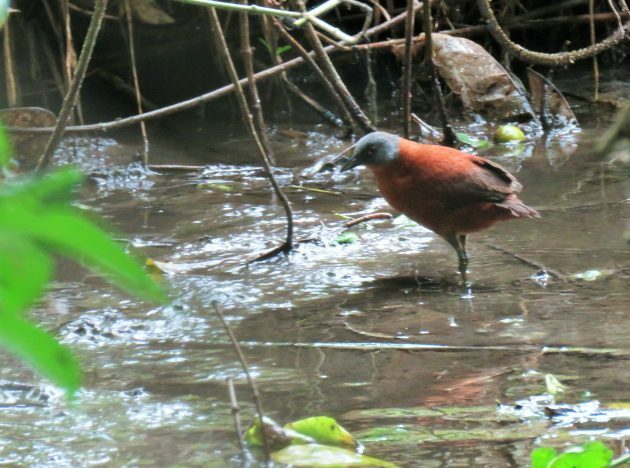 Exploring this tranquil mountain paradise also yielded altitude-appropriate specialties like Rufous-browed Wren, Rufous-collared Robin, and Mountain Thrush. The deep woods rang with the fluting songs of Ruddy-capped Nightingale-Thrushes and Slate-colored Solitaires. Though we saw plenty, the higher portions of the reserve promised much more (quetzal!) than we had time to attempt. We even missed a few easy species for this site, such as Blue-and-white Mockingbird. Nonetheless, Uyuca gave everyone far more than we could have anticipated; some of our group even got photos of Jaguarundi!! A sprawling agricultural campus like Zamorano encompasses a rich diversity of habitats, the most fascinating of which may be dry forest. This ecosystem supports cool birds like Banded Wren, Lesser Ground-Cuckoo, and White-lored Gnatcatcher. In a very short time in the Masicarán Dry Forest Reserve, we easily found the first, heard the second, and mostly whiffed on the last. But during that span, we also heard Crested Bobwhites everywhere while picking out interesting species like Stripe-headed Sparrow, White-throated Magpie-Jay, and White-tailed Kite. 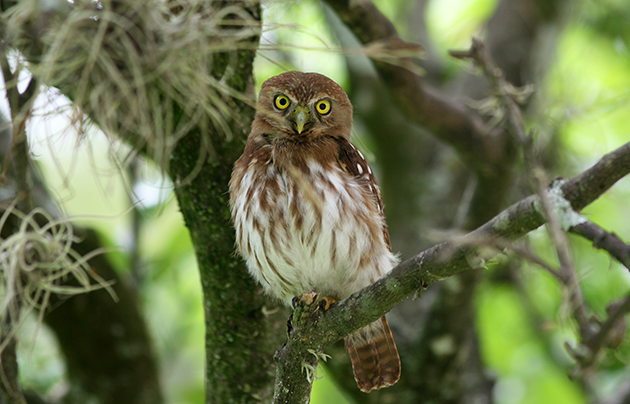 Just 30 km from Tegucigalpa, Zamorano deserves attention from visiting birders. Not only does the campus list exceed 350 species, but the university hosts a surprisingly well-appointed hotel that I found both beautiful and comfortable. The cafeteria serves good food, while the presence of so many serious students—in the standard Zamorano uniform of blue jeans and blue shirts—can be inspiring. This would be an ideal starting point for birders flying into Tegus, as the grounds and outlying reserves allow for easy viewing of so many species. That said, one cannot simply stumble onto campus, bins in one hand and a beer in the other. For one, Zamorano is a dry campus. In addition, the school takes security seriously. The only way to access any of the campus grounds, including Uyuca, is to call ahead and arrange an approved guide. Sure, these additional steps may seem cumbersome to travelers already juggling extensive logistics, but these understandable precautions are minor hurdles to a major birding experience. I may not have earned any credit, but I learned quite a bit about Honduran birding at Zamorano University.